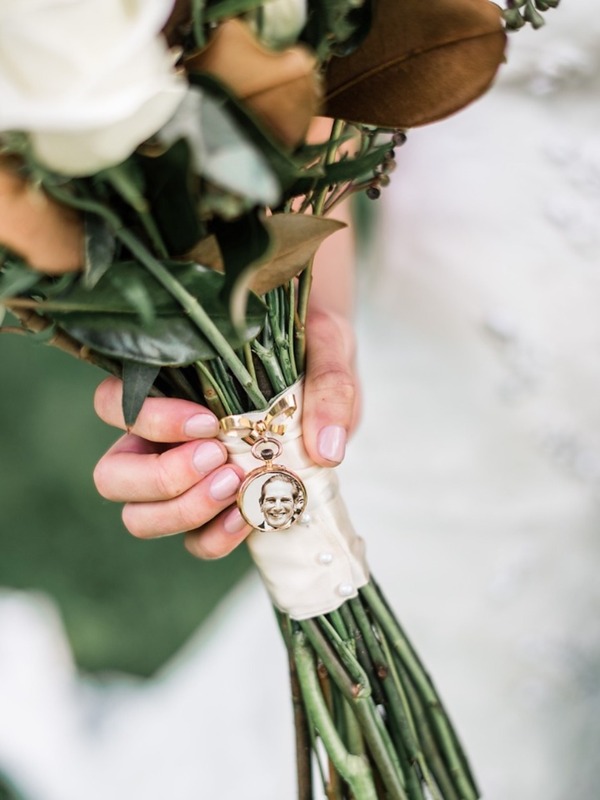 There isn't a way to replace loved ones that are no longer with us at your wedding, but there are many heartfelt ways to include them in your celebration. From including a photo of them on your bouquet or your groom's boutonniere to baking their favorite cookies and placing them at your dessert table. Not only did we want to showcase a few ways to honor a loved one past, we also wanted to provide a few free printables for you to make honoring them a tad easier. Scroll down to see them all, as well as the Free Printables. 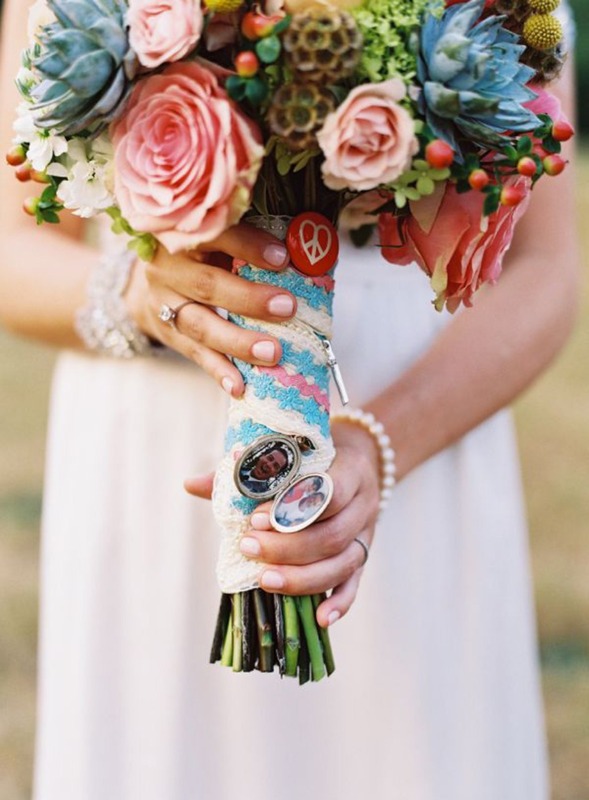 Add a photo remembrance charm of a loved one to your bouquet or to his boutonniere. They have a ton on Etsy here or few great ones on Amazon Prime that you can shop here. We love the one above from Ruffled and the one below from this woodsy rustic wedding. Set up a table of honor for those that are no longer with us. Dedicate a special sign just for them just as Kayla and Jonathan did at their navy and white rustic wedding here. 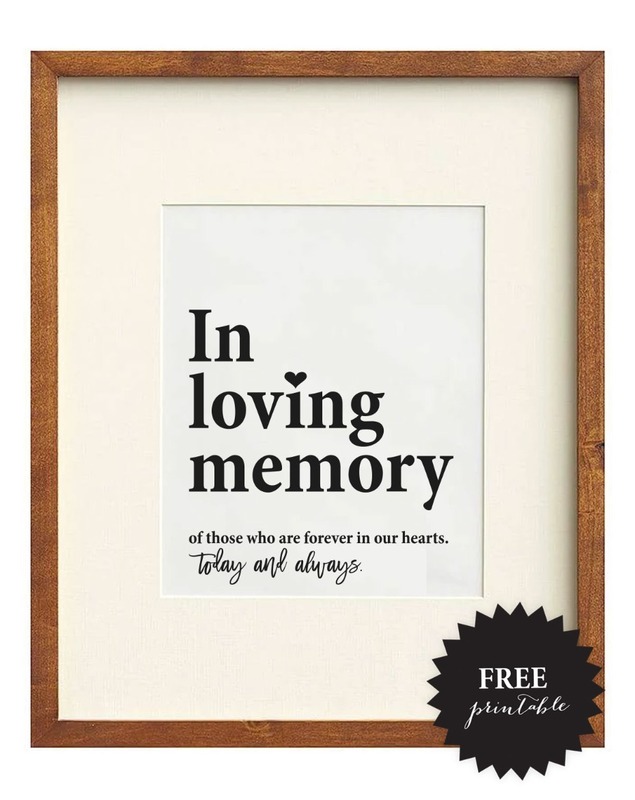 Download and customize our Free Wedding Remembrance Sign that allows you to list your loved ones that have passed. Available in gold foil or change the color. 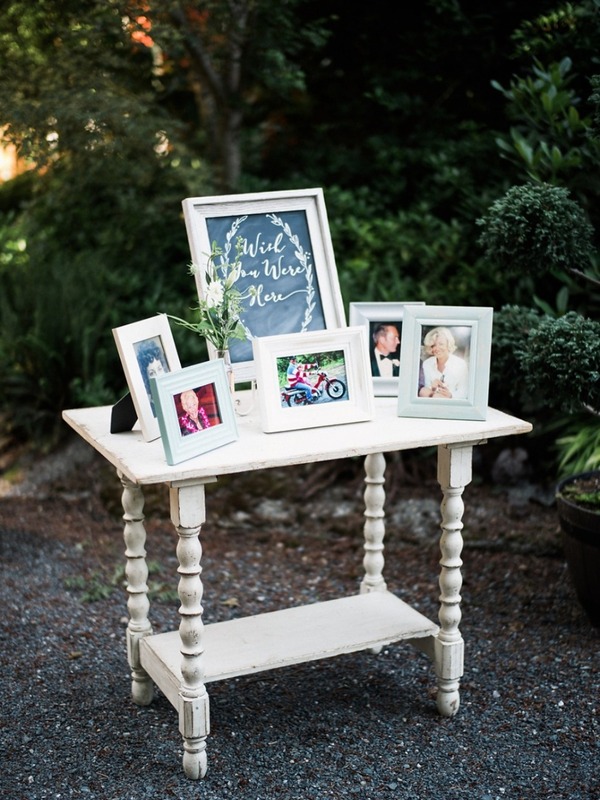 Save a seat for them at the wedding and place either a photo of them or a memento that they loved. For instance their favorite baseball hat, favorite pair of shoes, a bracelet they always wore or something that reminds you of them. 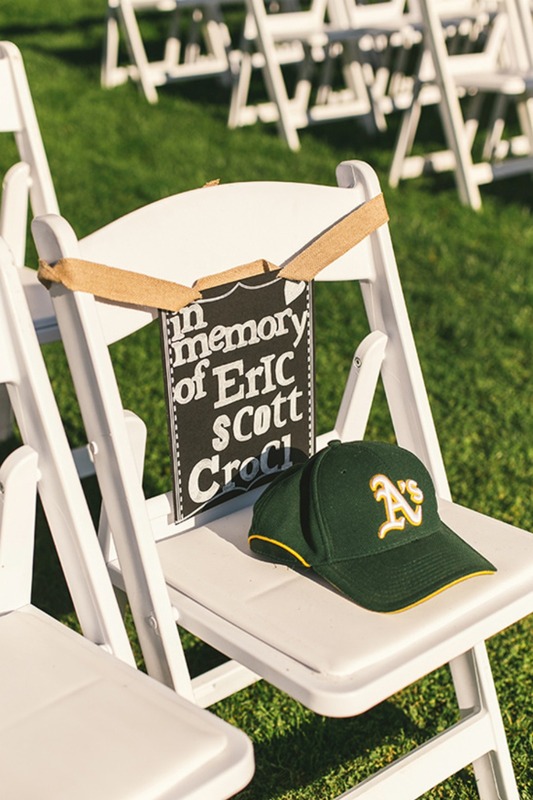 See the rest of this Santa Barbara Mission wedding here, where the bride made a lovely remembrance seat for her loved one. 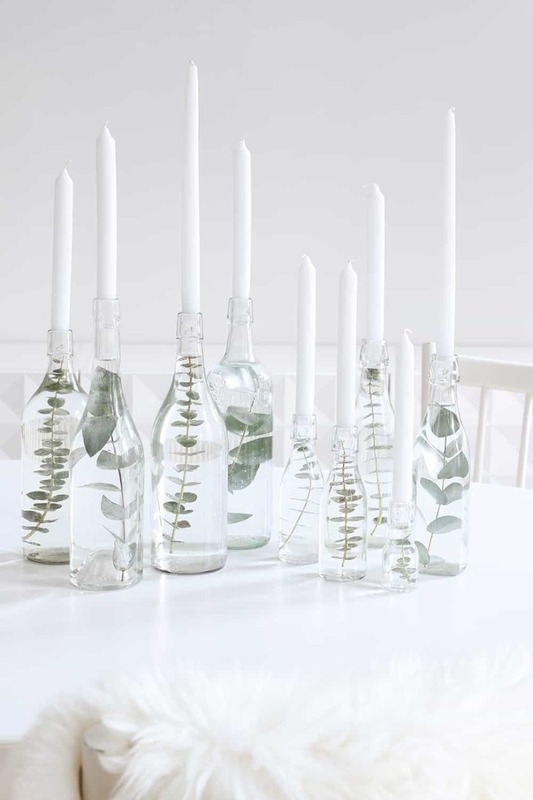 Fill a bottle with water and leaves or flowers and place a candle in it for every loved one that has passed. Have a dedicated moment of reflection in their honor. Bottles above from Haus Dekoration. 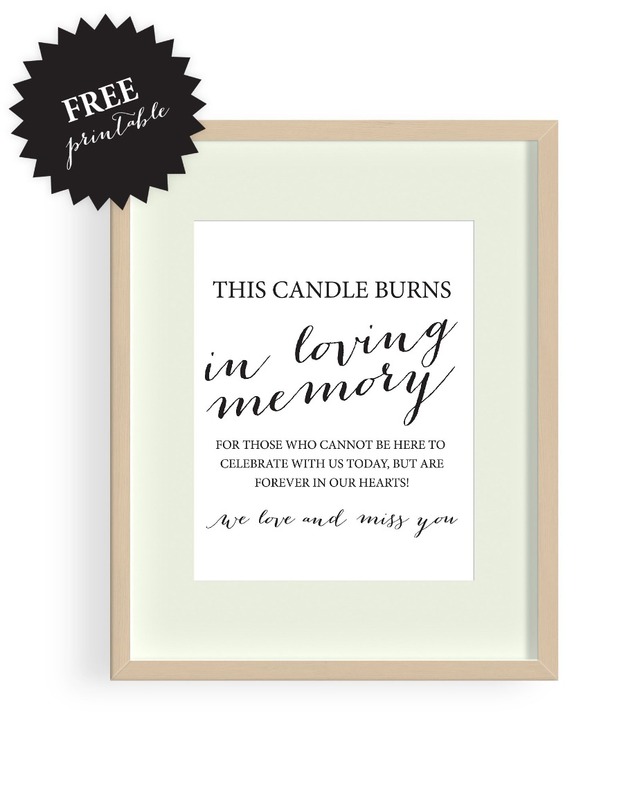 Use our Free This Candle Burns wedding printable. Which comes in an 8 X 10 and 5 X 7 sign. 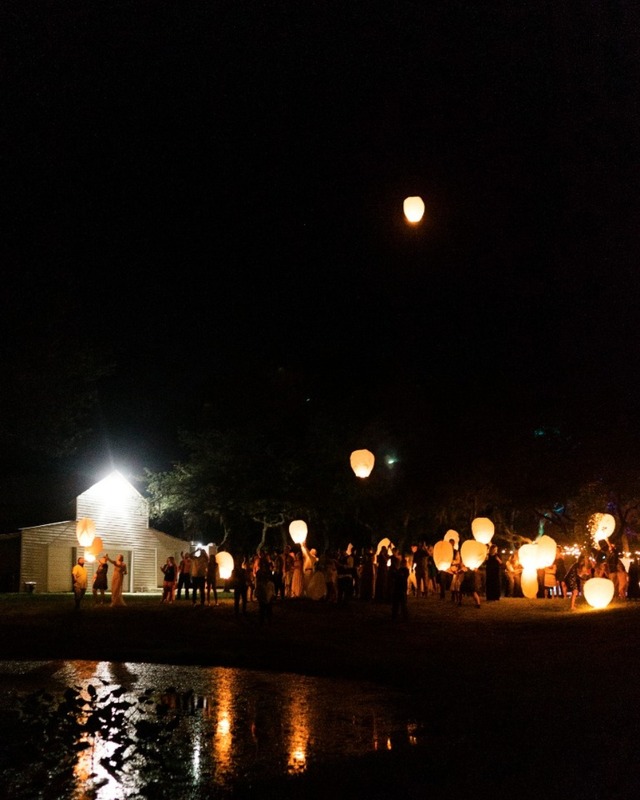 Honor loved ones that are no longer with us by sending a lantern up into the sky. Just as everyone did at this lovely Real Wedding. They all sent light and love to their loved ones in heaven with white paper lanterns and lit up the night sky. 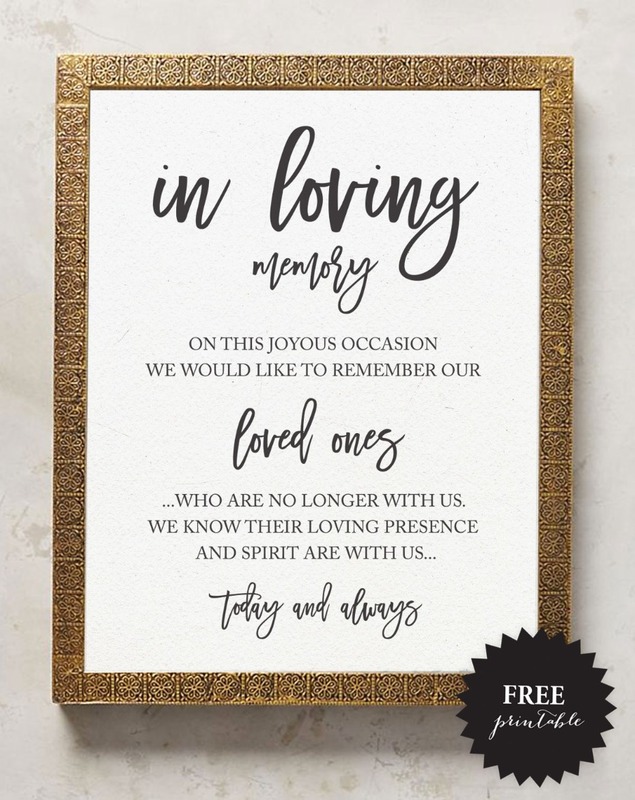 Print our In Loving Memory Free Printable. 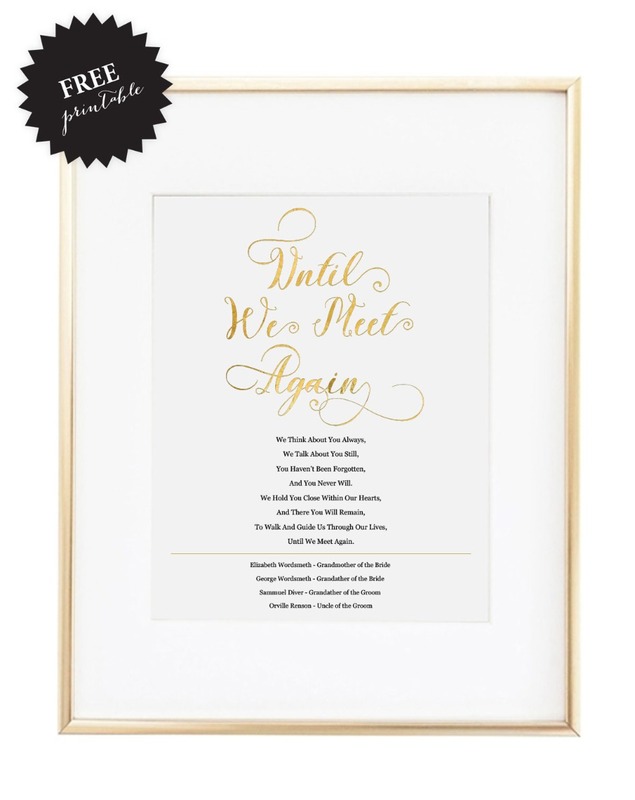 The gorgeous gold frame is from Anthropologie.